DATC: First of all Jeffrey – congratulations on God Don’t Never Change. It’s a wonderful record; it’s been very widely acclaimed; it’s had two Grammy nominations. That’s no doubt been very pleasing for you – but have you been surprised at just how well it’s gone down? Jeffrey: I guess I’m not so surprised. I’m grateful for the Grammy nominations – I was hopeful they would come. But I like the fact that it’s gotten great reviews. These are uncertain times – everything’s uncertain, the music business is uncertain, you can’t take anything for granted. But, yes, I’m pleased with the nominations. DATC: One writer said that your guidance resulted in “Eleven stirring renditions which replicate the soul of the songs, not just the sounds.” Presumably that was what you were striving for? Jeffrey: Yeah, that was exactly it. Exactly. You know, just going for the heart of the song, and what Willie Johnson was saying at that time. Just bringing it up to contemporary times. And bringing artists together who can convey the song, convey the thought. Really, you know, it’s the thought in the song behind the music that matters the most. DATC: So why did you want to do an album of Willie Johnson songs? Jeffrey: Well I wanted to do it way back in 2003, after my Dylan project, Gotta Serve Somebody: The Gospel Songs of Bob Dylan came out. But you know, I had to give some things a rest after that and it was hard to find a label that was willing to go to bat for the project on paper before it was recorded. This was at the time the record industry was collapsing. DATC: So what is it about Willie Johnson’s music that really appealed to you, that made you want to do this album? Jeffrey: I think it’s the sense of permanence – and I think it’s the same thing with Dylan’s music – these are themes that everyone needs to think about in their lifetime, no matter when in the spectrum of time they’re living their life – it’s really timeless, enduring music. It’s not something to be sung today and forgotten about tomorrow. DATC: And that’s the thing about his music – it really has endured over the years. It’s been covered by so many artists, in so many ways over the years. There’s something about it that seems to appeal to people in different eras, perhaps coming from different genres of music. Jeffrey: Yeah, his music can be interpreted in any number of styles, so seminal is it. He himself, we might say, is hidden in plain sight, to the extent that most everybody is familiar with at least one or two of his songs, if not all of them. Although maybe not familiar with him as an artist. DATC: The interesting thing, Jeffrey, is that Johnson’s music is quite unashamedly Christian; it springs right out of his vibrant faith. How come people still have an appetite for it, and how come artists who may have no particular interest in faith want to cover his songs and find his songs compelling? Jeffrey: Well, of course some people only see Blind Willie Johnson as a blues artist, with those universal themes. It takes perhaps a little bit more understanding and appreciation of the lyrics and what he’s getting at to really fully realize him as a gospel artist, which he truly is. But he can be taken either way I guess. DATC: Can you tell us a bit about the process of making this album, Jeffrey? From what you’ve said I gather it was a long time in the making? Jeffrey: Labels loved the concept of the album and the artists who were interested in recording, but the budget and the financial end just wasn’t feasible while the industry was collapsing. So inevitably I wound up raising the funds through a kick starter campaign. I was grateful for kick starter, but it’s not really in my nature to want to go out and do things like that. But, you know, when your back’s against the wall, and you want to get something done like that, you’ll do what needs to be done. And then the thought came to me about his dilapidated home in Marlin in Texas that I had visited, and what could be done about the wood from it, and through some extraordinary generosity, a woman down there whom I had befriended was able to secure some wood from the house before it was demolished. And that became the Blind Pilgrim Collection – the cigar box guitars. DATC: And there were some guitar picks as well weren’t there? I’m kinda kicking myself – I wish I’d tried to get one of those picks! DATC: Wonderful. So how did you go about recruiting the artists – I mean it’s a fantastic cast on the album, and all the performances are very, very strong. So how did you go about recruiting them, Jeffrey? Jeffrey: Well, just sending letters to management, saying, hey, I’m Jeff and I made a record called Gotta Serve Somebody: The Gospel Songs of Bob Dylan, and I’m working on this Blind Willie Johnson project, and here’s a song, and I wonder if you’d consider singing it? One artist we tried, an Irish one other than Sinead O’Connor, was Van Morrison, but we never heard back from him. That would’ve been nice. DATC: So you suggested songs for particular artists, rather than artists choosing? Jeffrey: In most cases yes. With some exceptions – like for Sinead O’Connor, I think I gave her different suggestions up front and then she came back and said she wanted to do a different couple of songs. But then I gave her Trouble Will Soon be Over. So that took a little bit of back and forth. But I think we landed on the right one. DATC: You sure did! It’s probably the surprise of the album, but it’s really fabulous. I wouldn’t have thought of Sinead O’Connor doing a song on an album like this. But she really nails that one, doesn’t she? Jeffrey: Yeah, she totally nails it. And when I heard that, it really surpassed any expectations I had for the record. That and the Cowboy Junkies. I’m proud of all the tracks – they’re all great – but I really feel like, Sinead O’Connor and the Cowboy Junkies take it to another level, to a real contemporary sound, and show the relevancy of the words and of Blind Willie Johnson’s music. And these are the sort of songs that can be played on the radio, you know, anywhere, anytime. DATC: What do you think the songs of Willie Johnson have to say to the modern world? We’re going back a long time to a particular social context, to an individual in very difficult circumstances, singing songs about faith – what can these songs say to the modern world? Jeffrey: Well I like to think that the world is an improved place since his time. But I would think Willie Johnson would think that the lessons from his songs are still relevant. I would hope there is less desperation now than there was back then, and that there would be more empathy and understanding. DATC: Have you another project in mind, Jeffrey, or do you just want the let the dust settle a bit on this on at the moment? Jeffrey: Yeah, maybe let the dust settle for now. I do have another project in mind, it’s more of a audio museum exhibit of shaker music. I’m from New England and this music comes from the area in which I live. It’s got real historic importance. DATC: Sounds like a great project. Thank you Jeffrey. Again – congratulations on the album our best wishes for the Grammys. 2016 was a bumper year for Americana and Roots music. With such variety and quality, it’s hard to grade them in any meaningful way. So here’s the ten we’ve enjoyed most in alphabetical order by artist, followed by our next 10, and a final 5. Check out our recent interview with Luther here. Here’s our take on this album. Here’s what we think of this superb album. Check out our take on this album here. Check out our recent interview with Brooks here. Here’s our comment on this album. Check out what we have to say about this album. And check out our Best Blues Albums of 2016 here. Blind Willie Johnson’s music gets to you, it works its way inside you and asks you big questions about yourself and the way the world is. God Don’t Never Change: The Songs of Blind Willie Johnson is quite simply this year’s best album – and there have been some very fine ones, including those from Luther Dickinson, Mavis Staples and Lucinda Williams. 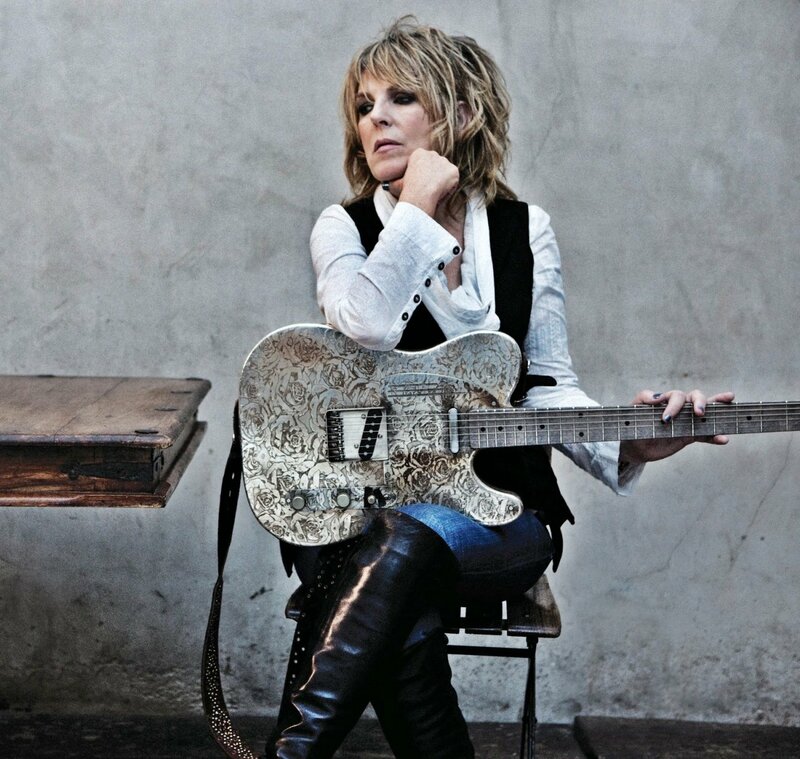 Produced by Jeffrey Gaskill, ten years in the making and as a result of a successful crowd funding campaign, it features a stellar cast including Tom Waits, Derek Trucks & Susan Tedeschi, Lucinda Williams, Maria McKee, Luther Dickinson, the Cowboy Junkies, Sinead O’Connor and Rikki Lee Jones. Each song, with the possible exception of Jones’s version of Dark Was the Night, is outstanding, the artists’ interpretations doing full justice to the grit, passion and commitment of Blind Willie Johnson. Johnson was a gospel bluesman who recorded 29 songs in five sessions for Columbia Records from 1927 to 1930 and who was renowned for his slide guitar – Eric Clapton called him the finest slide guitarist he knew – which he played with a brass ring or a knife. He alternated his tenor voice with a low growl or sometimes just a moan. His haunting gospel blues have endured over the years, covered by a host of artists from Led Zeppelin to Tom Jones to Ry Cooder to the Grateful Dead. Johnson had a difficult life, as we might expect for a disabled black man living in the Southern States in the early decades of the 20th century. Details of his life are sketchy – we don’t even know exactly where he is buried (for a fascinating examination of this see Shane Ford’s Shine a Light), but he lived in poverty and hardship, mostly busking and preaching on the streets of Texas. He died pitifully, living in the ashes of his burnt down house in 1945, having contracted malaria. And yet, his legacy of songs live on. Dark Was the Night, Cold Was the Ground, possibly his most famous song, is one of the music tracks on the Voyager Golden Record, on the unmanned Voyager Project spaceship sent into space in 1977. It takes its place alongside music by Beethoven, Bach and Mozart. Quite what any extra terrestrials might make of Willie Johnson’s eerie slide guitar and moans on Dark Was the Night is anybody’s guess! Johnson’s songs unashamedly confess and celebrate his Christian faith. (For more on Johnson’s life and faith see The Gospel According to the Blues ). For Johnson, God was a reality with whom we all have to deal – he pulls no punches on God Don’t Never Change and Can’t Nobody Hide from God. He reminds each of us of our responsibility for our own shortcomings in It’s Nobody’s Fault But Mine and he highlights the hardship of life in Lord I Just Can’t Keep from Crying. He gives us the answer to the problem of human frailty in I Know His Blood Can Make Me Whole, and he looks forward to a better world in Jesus is Coming Soon and Bye and Bye I’m Going to See the King. The songs can sound threatening, ominous, gritty – but they can also be joyous and inspirational, when Johnson celebrates his faith in songs like Sweeter As the Years Go By or Let Your Light Shine on Me. This is earthy, blood and guts, committed religion. “I came to Jesus as I was, weary and wounded and sad. For Johnson, these words could never be trite, given the reality of his own life. So to this new album, God Don’t Never Change. Tom Waits gets us right into the spirit of the songs with his raw vocals and some spirited guitar picking with Soul of a Man. 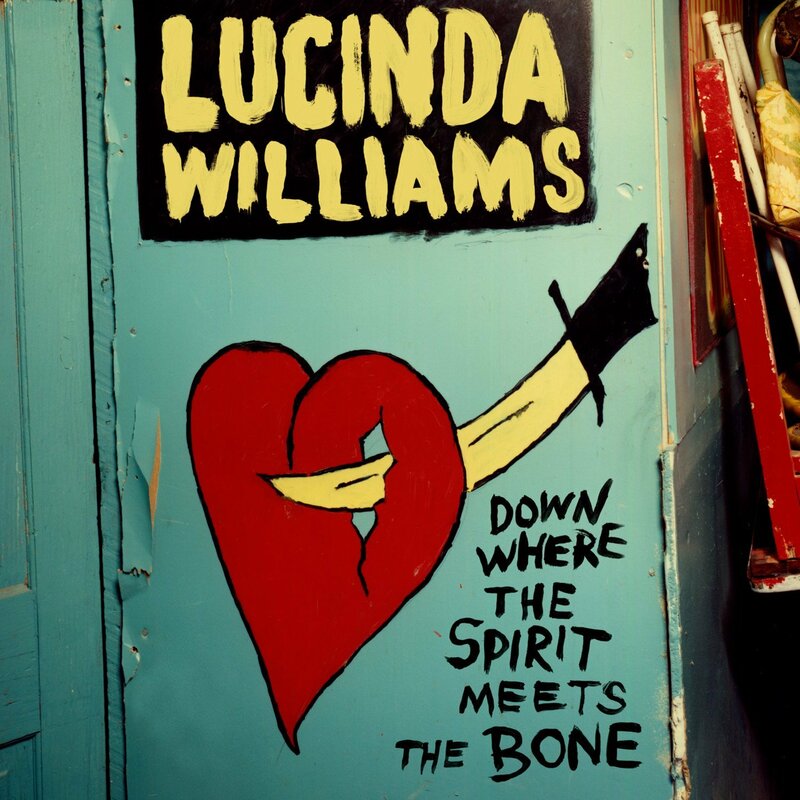 Lucinda Williams contributes a couple of songs, notably a sparse Nobody’s Fault But Mine with some tasty slide guitar and a little Johnson-esque moaning. The slide guitar playing gets take up a notch as you might expect by Derek Trucks on the joyful Keep Your Lamps Trimmed and Burning. (Check out our post on this song here). Then suddenly we have Willie Johnson himself rasping his way into our consciousness as the Cowboy Junkies start up Jesus Is Coming Soon. They cleverly sample Johnson’s voice for the chorus on the song and it works fantastically well. After the pleasure of the Blind Boys of Alabama, with Jason Isbell on slide on Motherless Children, we have the surprise of the package – Sinead O’Connor, right in the middle of these top notch Americana artists, treats us to a spine-tingling Trouble Soon Be Over. With some exquisite backing vocals and a little guitar and percussion, O’Connor beautifully captures the dichotomy in the song of wrestling with the struggles of life and the hope of redemption. More slide guitar, courtesy of Luther Dickinson, who is no stranger to inspirational gospel material on Bye and Bye I’m Going to See the King. Then, after Waits’ and Williams’ second contributions we have the delightful Let Your Light Shine On Me with Maria McKee. With a little guitar, some church organ and some nice backing vocals, McKee’s interpretation is glorious, particularly as the song grows and adds some rocking piano and McKee belts out “I know I got religion and I know I ain’t ashamed.” Ricki Lee Jones rounds off the 11 songs with Dark Was the Night, Cold Was the Ground, giving us the benefit of the lyrics about Jesus in the Garden of Gethsemane, where Johnson had just played slide guitar and moaned. These are not trivial songs. They’re about life, trial, hardship, faith, death and eternity. Big subjects. Johnson’s music gets to you, it works its way inside you and asks you big questions about yourself and the way the world is. His music matters. That’s why this album is so important. And it’s why each of these artists has participated in the project and has produced such outstanding work. And it’s why you should go get yourself a copy of the album without delay. Better still, start listening to Blind Willie Johnson yourself. In The Ghosts of Highway 20 we have Williams’s second double album in two years, fourteen songs of mature, life-tarnished reflection, delivered flawlessly by her band along with the atmospheric guitar work of Bill Frizell and Val McCallum, and Greg Leisz on pedal steel. And, of course, Williams’ own characteristically world-weary, aching voice, as ever beautifully phrased, raging, urgent or cracking, as the song requires. The song is unashamedly about death – something that has become a taboo subject in our culture. “When you’re done, and your run is finally through…when you cross over to the other side…[when] you are cold and cannot stand…when you leave me here to grieve in pain and despair” – are stark lyrics for sure. Anyone of us who has lost people we love know the starkness and the pain of this parting, of being “bereft,” literally deprived of the other person. The final song of the album, Faith and Grace, brings something of an answer to the question. But, Williams has it right – when the time of trouble comes, we need a little more faith and grace, so we can stand on a rock, rather than be blown away by it all. And Williams’ final refrain as the song plays out is telling: “Get right with God,” she intones over and over, echoing a song from her album Essence. Right there is the point where faith begins and where we begin to find the grace we need.